Building on the theroetical background of the global mindset concept, we assume that a mindset is a cognitive orientation that promotes task completion, which in turn improves task performance. Our qualitative analysis suggests that in the context of frugal innovation improved task performance would positively contribute to the following goals: (1) strategic alignment of innovating for cost conscious consumers, especially in emerging markets (2) deepening the understanding of cognitively remote customers’ needs and the context in which they live or work and (3) satisfaction of these customers’ needs with frugal solutions. 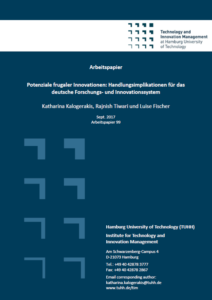 Furthermore, we propose that a frugal mindset can be cultivated along the phases of (1) accepting the new realities of changing markets and competition, (2) a willingness to reconsider current approaches and (3) a willingness to take the necessary action and implement new approaches regarding the identified goals. By developing a definition based on this two-dimensional construct, we build on the theoretical foundations of a well-established mindset concept from the field of organizational behavior/strategic management and integrate various descriptions of the frugal mindset. This contribution provides a solid theoretical basis for further research. This entry was posted in English, Publications and tagged Frugal Mindset, Global Mindset, Organizational Behavior, Path Dependency by Rajnish Tiwari. Bookmark the permalink.